BME will team with Gilbane Federal, Blythe Plumbing and Heating, Valdez Construction and others on the renovation project. 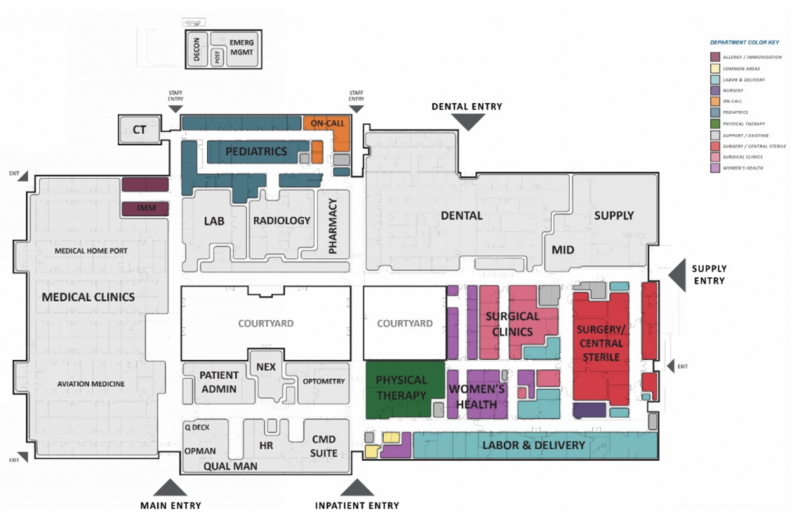 This multi-phased, design-build project includes upgrades to the hospital emergency electrical systems, fire alarm, nurse call, infant abduction system, and communications backbone and station cabling. Intensive coordination is required to maintain hospital systems for areas which are still active while performing a complete tenant improvement in other areas.